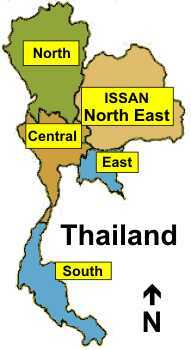 Visit Issan and discover the real Thailand – the Thailand which not so many tourists get to see. A place where the people are still genuinely friendly, they have the time to say hello and take an interest in you and your travel plans around the area. For what seems have been forever, this has been the poor area of Thailand. However it’s still an area where you will be made welcome. In Bangkok and a lot of the more industrialised and more commercial areas of Thailand the locals unfortunately don’t always now have the time or the chance to be as hospitable and friendly as the Thai nation has always been renowned for.